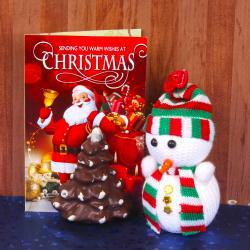 Product Consist : Floral Candle along with Gold Coin in Treasure Box (Weight : 120 Gms) and Christmas Greeting Card. 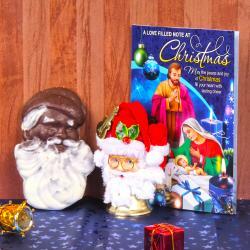 Send this Fantastic Christmas gift hamper to your loved ones to wish her or him happiest merry Christmas. 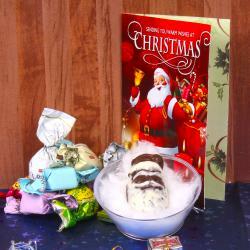 You can send delicious Christmas treat with mouth watering chocolates along with special greeting card. This hamper is perfect to be gifted on occasions like Christmas, New Year, etc. Make the celebrations all the more special with a delightful gift of christmas special floral shaped wax candle beautifully arranged in a pottery container. 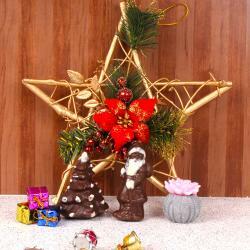 Your loved ones will be definitely elated to receive the gift hamper sent by you with love. 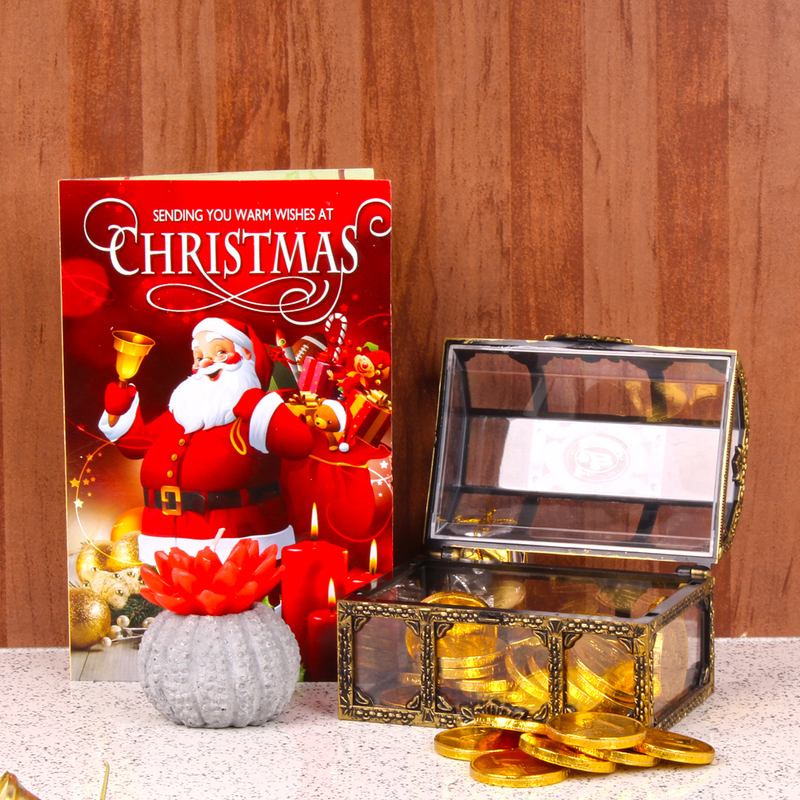 Product Consist : Floral Candle along with Gold Coin in Treasure Box (Weight : 120 Gms) and Christmas Greeting Card.